Wendell Oliver Scott was the first African American race car driver to win a race in what would now be considered part of the Sprint Cup Series. Scott was born August 29, 1921 in Danville, Virginia. His father worked for wealthy white families as a driver and auto-mechanic, and started teaching his son about cars at a very young age. Scott, however, dropped out of school and was drafted into the army to fight in World War II. After he returned from the war, he opened an auto-repair shop, but also took up a profession that would lead him into car racing, running moonshine whiskey. To do this, Scott had to know how to build and drive fast cars so he could get away from the police (which he did on numerous occasions). The racecar business was struggling in Danville, so to attract more people, the owners decided to recruit an African American driver, and went to the police asking who was the best black driver in Danville. Because of his habits of escaping the police, all fingers pointed towards Scott. The next day on May 23, 1952, Scott became the first African American to drive in an official stock car race. His first race did not go well because his car broke down, but at that point he realized that he wanted to be a racecar driver. Scott tried many times to get into some official National Association for Stock Car Racing (NASCAR) races, but because of his race he was turned down on several different occasions. Because of this discrimination, Scott decided he would stick to non-NASCAR speedways, like the Dixie Circuit. Scott raced in the smaller circuits for a while, winning his first race at Lynchburg, Virginia while still trying to break into NASCAR. Eventually, Scott got into the NASCAR circuit by taking over the auto racing license from a white driver named Mike Poston. He worked his way up to what is now known as the Sprint Cup Division, the top division in NASCAR. On December 1, 1963, Scott became the first African American to win a race in the Sprint Cup Division after he came in first at Speedway Park in Jacksonville, Florida. Scott, however, was not announced the winner. Instead, the second place finisher Buck Baker was crowned the champion, until a correction was issued a few days later. Scott continued racing throughout the 1960s, consistently placing in the top ten among NASCAR drivers in points. In 1973, Scott was injured in a car crash and because of his injuries was forced to retire. Scott returned to his auto-garage business which now attracted customers from all over the country because of his reputation as a great driver and mechanic. In 1977, Scott was inducted into the National Black Athletic Hall of Fame. 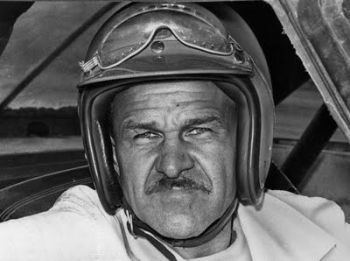 Wendell Scott died on December 23, 1990 due to spinal cancer, leaving behind his wife Mary, and seven children.